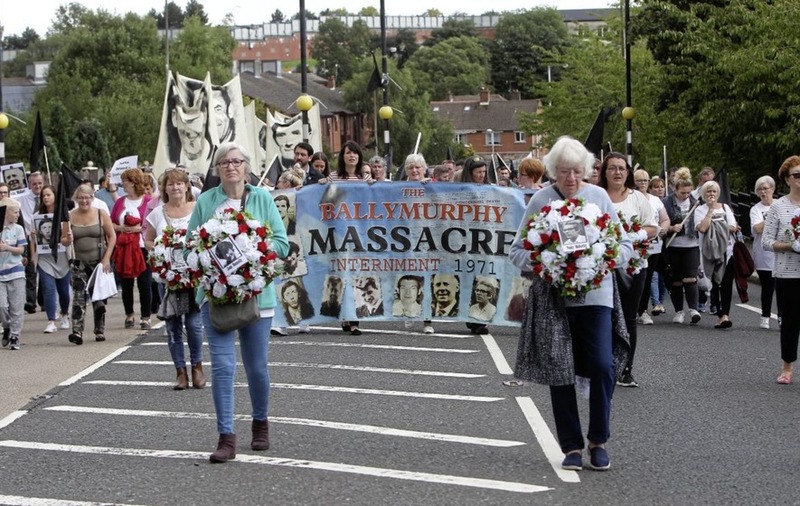 CROWDS gathered in west Belfast yesterday to take part in a march commemorating the victims of the Ballymurphy Massacre. The 'Time for Truth' march assembled from Springfield Park at noon, and brought renewed calls for the British government to release funding for legacy inquests. 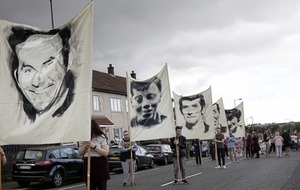 The march commemorated the 11 people shot dead between August 9 and 11 1971, as internment was introduced. An inquest into the deaths – including a parish priest and a mother-of-eight – is to begin next month. But the British government refusing to release funding for legacy inquests continues to prevent further relatives from finding out the truth about their loved ones' deaths, it has been claimed. In March DUP leader Arlene Foster faced criticism after a High Court ruling stated the former first minister had unlawfully blocked funding for legacy inquests.